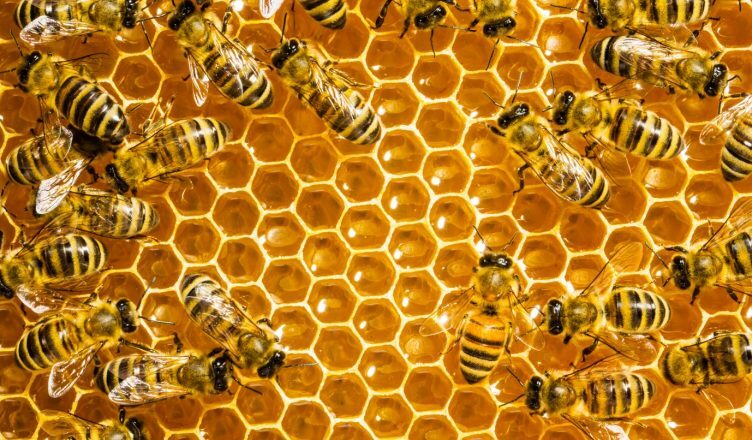 Honey bees, according to the common narrative, bear nearly all of the burden in sustaining the Earth’s ecosystems, for without them plant life would remain unpollinated and would collapse, leading to disaster, strife, and starvation. This narrative, however, leaves out the nearly 20,000 other species of bees, each of which pollinates and stimulates plant growth in its own local ecosystem. Native bees, a broad term referring to the wide array of bee species indigenous to a certain region, are the unsung heroes of the natural world and need to be valued and protected for their pivotal role of pollinating vegetation in local and agricultural settings. The European honey bee, also called the Western honey bee, is what typically comes to mind when people think of bees. One of the first domesticated insects, European honey bees are highly valued for their skills in honey production and pollination. These bees are the superstars of the agricultural scene because of their ideal body size (which allows them to pollinate a great variety of flowers), their ability to maintain large colony populations, and their use of flower fidelity, a practice where a bee specifically pollinates a particular flower species until that pollen source is depleted. Thus, aside from producing honey for human consumption, honey bees are transported across large distances and pollinate one-third of all crops. It is then no surprise that European honey bees have become the most common honey bee species, with the United States home to 2.89 million honey bee colonies. Divided into two categories, native bees can be either generalists or specialists. Generalist bees constitute 80 percent of the bee population and can feed off a variety of plants, including weeds. On the other hand, specialists, which account for 20 percent of the total bee population, may require one, two, or three specific species of plants in order to survive. Native bees come in different shapes and sizes and have different capabilities that allow them to pollinate indigenous flora more effectively than honey bees. Therefore, a healthy ecosystem is one with many species of bees, both generalists and specialists, as this will ensure the survival and prosperity of the greatest variety of plant life. The necessary collaboration of wild and domesticated bee species is often overlooked but is ever-present in agriculture, where native bees and honey bees will often work together or compete to pollinate a given crop. Every year, domesticated honey bees and wild native bees tag-team to pollinate American crops, and their work is valued at over $24 billion, $15 billion of which is attributed to honey bees and $9 billion of which is attributed to native bees. Beekeepers profit from the billions of dollars worth of pollination honey bees produce and in turn make sure to care for and advocate for the well-being of their bees. While farmers benefit from bountiful harvests, and society benefits from more affordable and higher quality produce, no one directly profits from native bees. Unlike their domesticated counterparts, native bees lack much-needed advocates because there are simply no direct financial incentives for people to champion their cause.